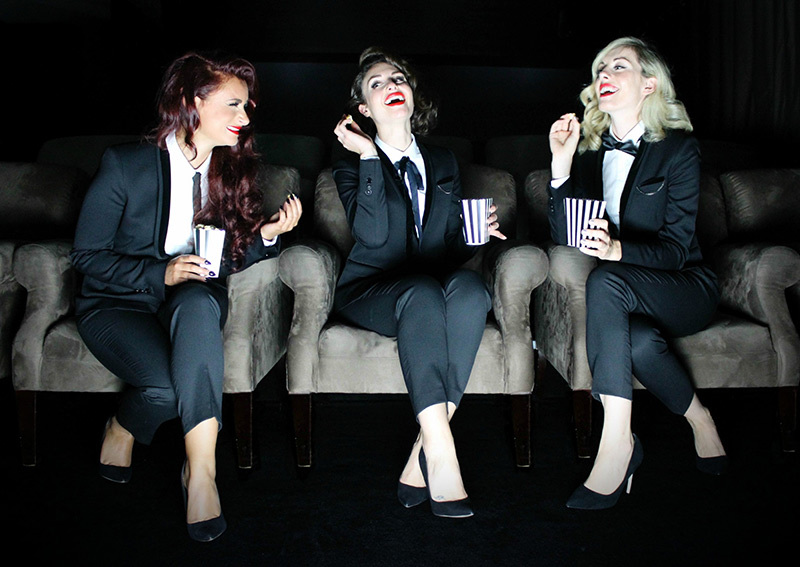 The Vintage Vamps are a ‘vintemporary’ vocal harmony trio who formed in 2013. The group boast performances for Rolls Royce and Bentley at The Dorchester and New Year’s Eve at the Aqua Shard. 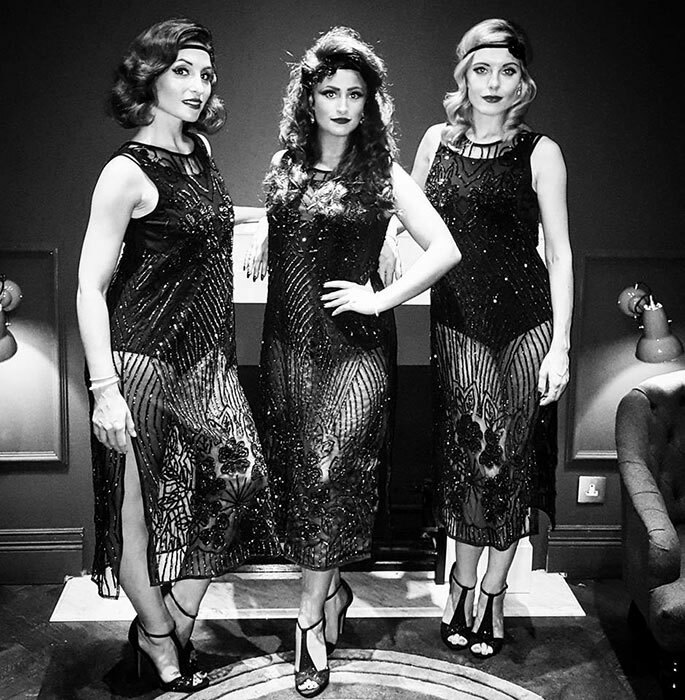 They have performed on E4’s ‘Made in Chelsea‘ and in ‘Vintage Life Magazine‘, and they have established themselves as one of the UK’s leading vintage entertainment acts. 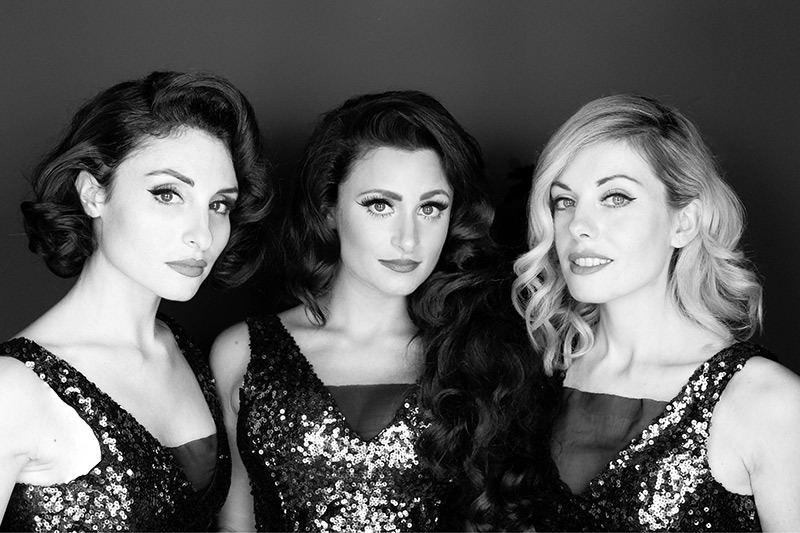 Recently they have become an international act, performing worldwide as a trio as well as with their band The Belles & The Bass Tones. In this year alone, they have taken their vintage style around the world with performances in the Caribbean, the Middle East and more recently Hong Kong. With stunning musical arrangements and a vast repertoire, the The Vintage Vamps are the perfect act to wow your audience with their captivating vocals and stunning stage presence. The Vintage Vamps are a three-part vocal harmony trio available with backing tracks, piano accompaniment, acoustic line up or jazz band. ‘We’re delighted to have booked The Vintage Vamps. What gems! The girls stood out against the competition – undoubtably cool, sultry and sassy. The friendliness, efficiency and prompt communication throughout the booking process was such a relief, they are not just gorgeous and entertaining but also total professionals. They totally rocked the event with three mini performances, each one with it’s own character and upon request created some bespoke content for us. ‘We had The Vintage Vamps at the opening of my new patisserie in Tunbridge Wells, they were fantastic and very unique.